Mossfeldts Skogstransporter in Ekshärad was the first in Sweden to operate a Canadian Tigercat 1085C. Their first 1085’er has now been running for over 2000 hours and their second one is newly delivered. 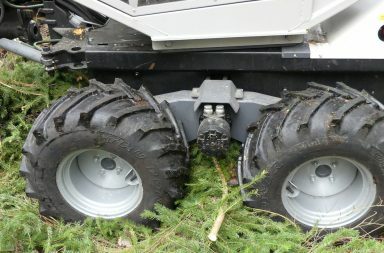 Forestry.com has visited them for a closer look at the forwarder. Mossfeldts Skogstransporter is an interesting company. 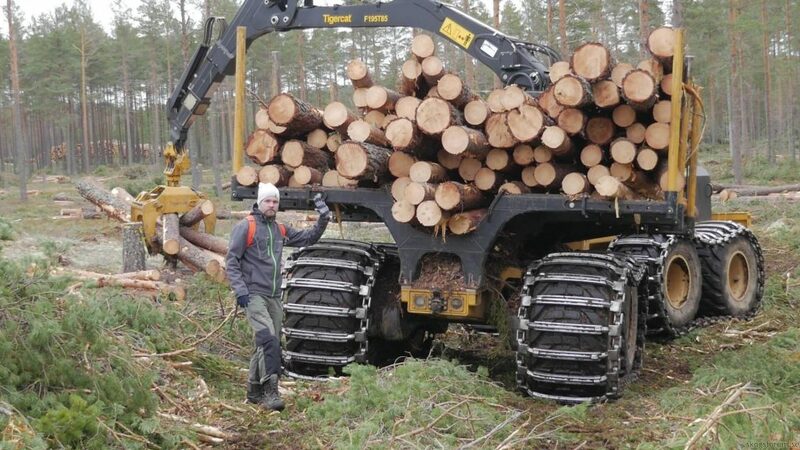 A father and son, with Lars-Erik in charge, are driving the two Tigercat 1085C’s in the forests outside Ekshärad. 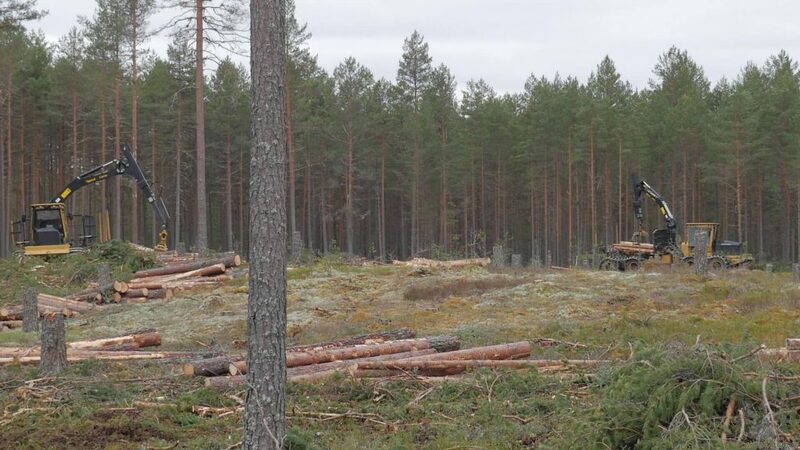 100% final felling is on the agenda as the duo has been hired by Stora Enso. A third generation is advancing into the business as Roland’s son, Henrik, will be added as a driver after completed studies at a Swedish forestry college. 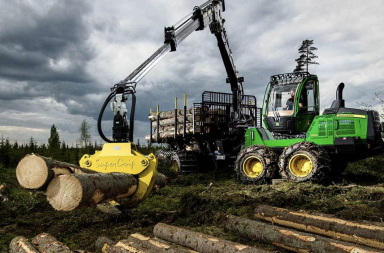 Lars-Erik has been operating forest machinery, and forwarders in particular, for 50 years. Having already retired, he still has a hard time leaving the driver’s cabin. Despite so many years working in forestry his health is in good condition, impressive considering the many back, neck and shoulder issues that often occur in this line of work. 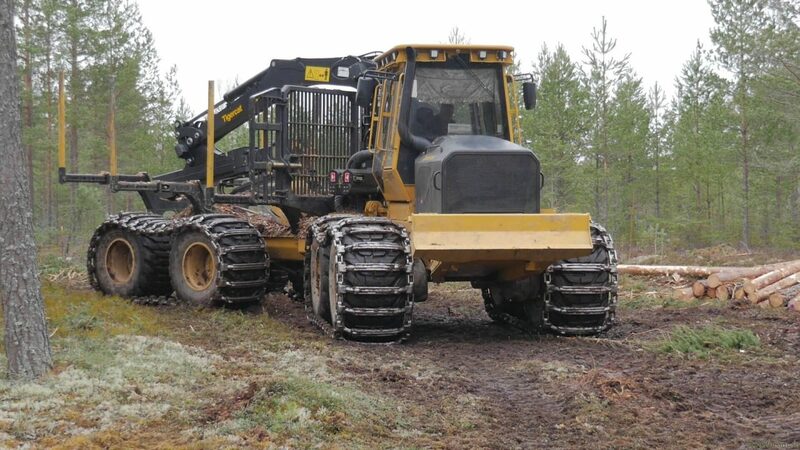 They recently exchanged the old Tigercat 1075 forwarder for a new 1085C, thus they now have two 1085’s often operating in pairs in the same logging area. Two are required to keep up in the 100 000 cubic meter contract they operate in, on behalf of Stora Enso, on a yearly basis. When I called Lars-Erik he at first didn’t realize that I was from Forestry.com. He was wondering what forwarder I was operating at the moment. 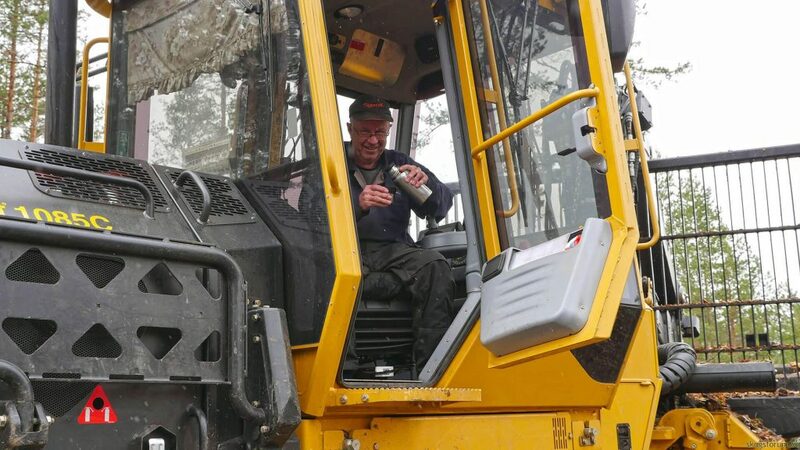 As I clarified he explained that having visitors in the forest has become a frequent occurrence – many want to join to get an idea of what the Tigercat 1085C is like in action. 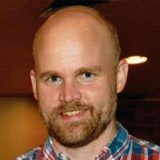 Lars-Erik has grown accustomed to showing people around and talks openly and gladly about the machines as well as the job. Tigercat 1085C is a forwarder of the biggest class. To get an idea you can take a look at the chart below where the 1085 is compared to some of its most common competitors in the Nordic countries. Tractive Force (kN) 245 230 262 260 ? In the chart above new forwarders for final felling in CTL are listed, all with a so called Final Tier 4 engines with SCR/Adblue, and the Tigercat is no exception. What makes the engine of the Tigercat stand out is that it’s their own design that Tigercat has put together themselves. Its foundation is a diesel engine from FPT (Fiat) which Tigercat adapts for use in their machinery. The engine is originally called N67 and can at most deliver 230 kW. Tigercat meets the emission requirements of a 4-cycle/FT4 by adapting a technology called Komatsu/Agco, SCR/Adblue with neither particle filters nor EGR, though with a DOC/CO-catalyst. According to Tigercat this is all part of their philosophy – if the part they need for their machine doesn’t exist they create it entirely or partially on their own. This is also the case with for example the bogie of the 1085 which is a own manufactured bogie that they’ve constructed in order to get it the way they want it. In short, you could say that it’s a powerful bogie built to hold 25 tons and with a C/C measured wheel center that is longer than most. As a result of this the bogie is an interesting part of the Tigercat. The reasoning behind using a long bogie is that you get two distinct advantages: better flotation (if belts are used) and better ergonomics as longer bogies tend to forgive more terrain and obstacles. 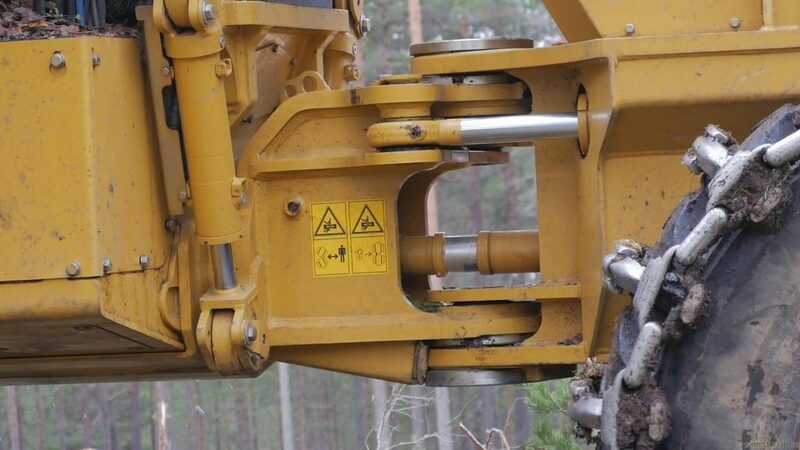 The downside is an increase of so called shear, meaning that the ground layer is torn up when turning the forwarder. Another disadvantage is the length of the machine which might not track as well during turns. As you can see from the chart above Tigercat seem to have thought about this as well and, according to Lars-Erik, manufactured a forwarder which tracks well. Lars-Erik Mossfeldt who has driven several types of Tigercat likes the idea of a long bogie. According to him the problem with shearing is not a major one as long as you plan accordingly and maintain a decent speed when making a turn with the forwarder (which of course is true with all bogie-equipped machines), and he says that the advantages weigh more. The buoyancy is good as are the ergonomics. According to Stora Enso they work using the right methods. If we elaborate on the “self-made” theme of Tigercat, the crane with the bent beam is also a product of their own. Double lifting cylinders and a so called broken lifting beam makes for a crane that never lets you down in terms of ability to lift, and which should also last over time without breaking. The swing damper which dampens the grapple is also home made and copied in a smaller version from Tigercat’s skidders. The dampener is pumped with grease in frequent intervals and the grease is what causes the softening of the swing. The grapple is also a product of Tigercat. It’s a 0.43 grapple which according to Lars-Erik is suspiciously similar to a Cranab grip in the way it’s built. Nevertheless, it works beautifully. The bunk is firm, mechanically able to widen and without scale. An interesting solution here is that it’s angled along the long side – taller in the back. At first glance this can look crazy as you’d think it would increase the weight point and perhaps even lower the loading capacities. But that’s not the case as the height of the cargo depends on the sides, even if the timber is not level with the ground. 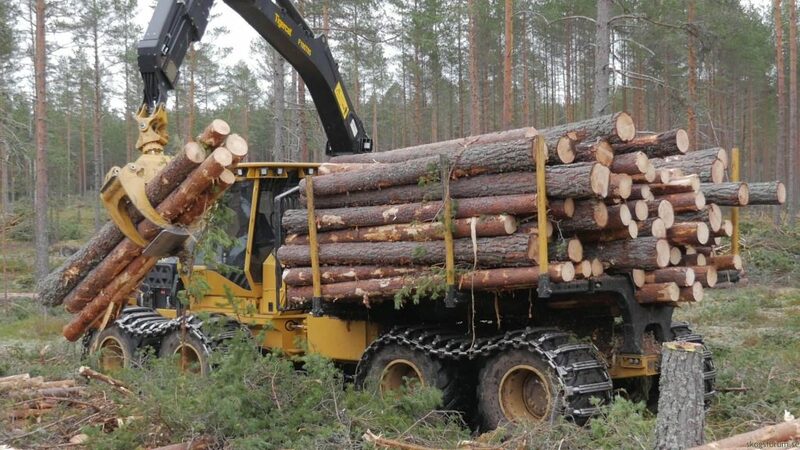 The advantages of this solution is supposedly that you, from the cabin, can see the entire length of the logs at all times, and more easily are able to collect and even adjust single pieces to obtain a balanced load with no air. It can also be an advantage in uphill when the timber can slide backwards. A disadvantage kan be an increased pressure but the machine is built to handle it so it shouldn’t be a problem. The driver’s cabin is impressively spacious with negatively angled windshields like in a boat. Anyone shorter than 1,85 can stand up and with some good will there’s room for multiple passengers. 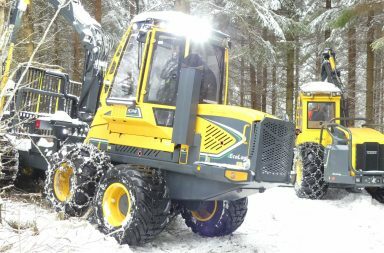 Tigercat is at present time not a major seller in the Nordic countries or Sweden. There can be several reasons for this and the move of the Tigercat’s European manufacturing site from the city of Hede in Sweden can have played a role. But other than that it’s like with any other piece of forestry machinery that easy access to service is crucial. Mossfeldts Skogstransporter are in good hands as local service provider ATAB in Torsby does Tigercat service. On top of that, Lars-Erik claims that the 1085’s have been highly reliable, they just keep going. The same is true for the older 1075, they rarely had issues with any part. It will be exciting to follow the market of forwarders in the future, especially in the larger segment that the 1085 belongs to. If you have any comments or questions, feel free to write a comment below or start a new topic in the forum.